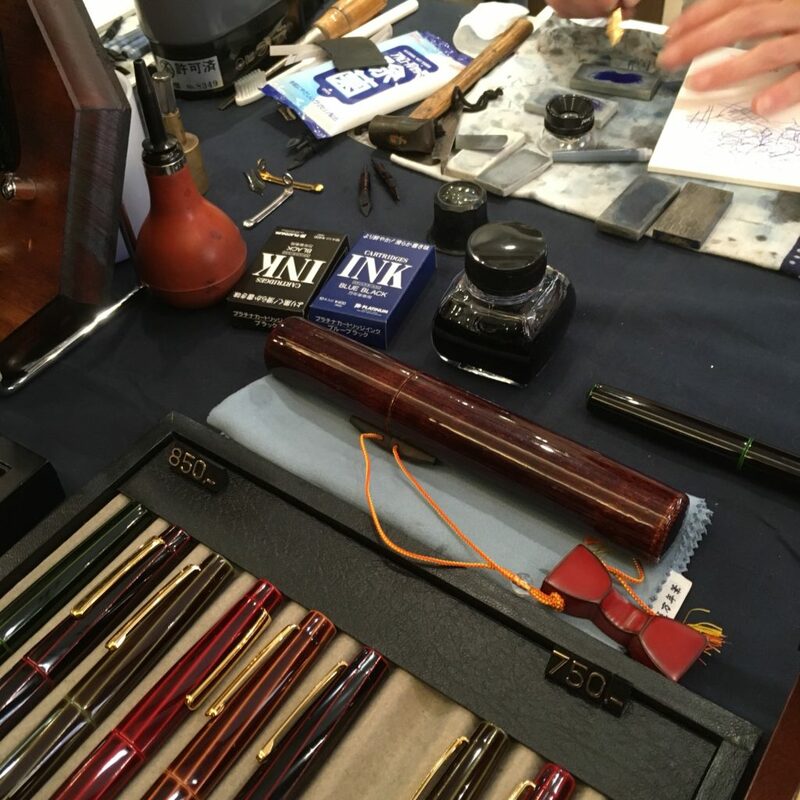 While waiting, I met several other Nakaya enthusiasts, oggled their collections, egged people on into buying their own Nakaya, talked about notebooks… etc etc. It turns out that I don’t get hungry as fast when standing around with a bunch of other rabid pen folks. Pen clinic adrenaline? At the clinic, Yoshida-san and his assistant (I think her name is Sanae-san, but I’m not 100% sure) will tune or adjust any Nakaya or Platinum pen. 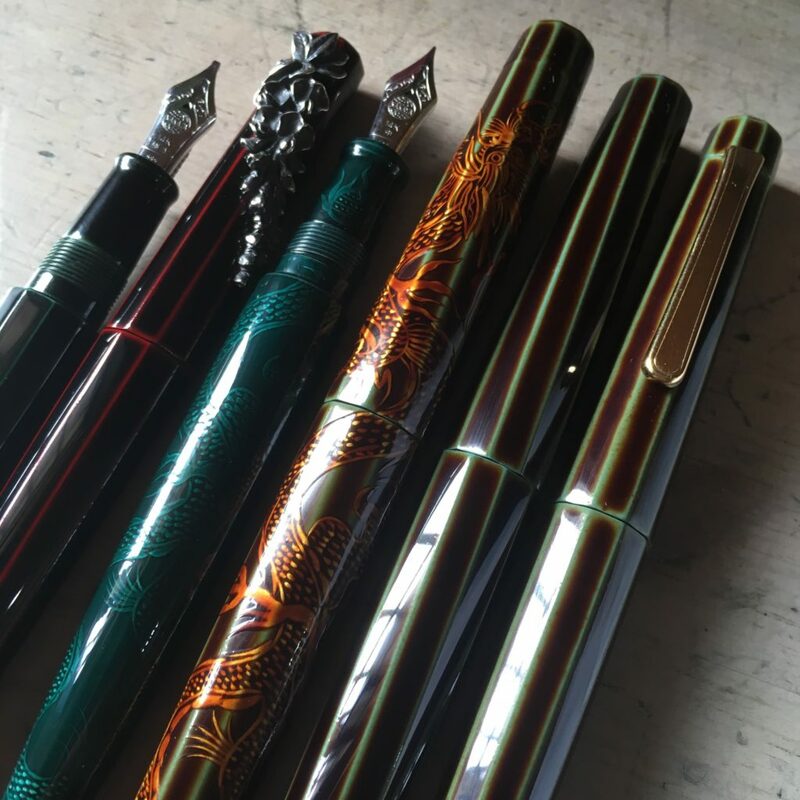 However, they will not grind Platinum pens, only Nakaya. And some grinds take a while, so they don’t do them at the clinic, they need to be brought back to Japan and will be shipped back to their owner (someone asked for an Architect and that was the response, I’m not sure which other grinds fall into that category). My first request was a stub on a BB nib. It’s a joy to watch Yoshida-san work, he uses no power tools — only traditional whetstones and some elbow grease. Additionally he has made a lot of his own tools — special feeds for grinding, a steamer with silicon blocks for warming feeds and a bunch of other things that we didn’t see in action. 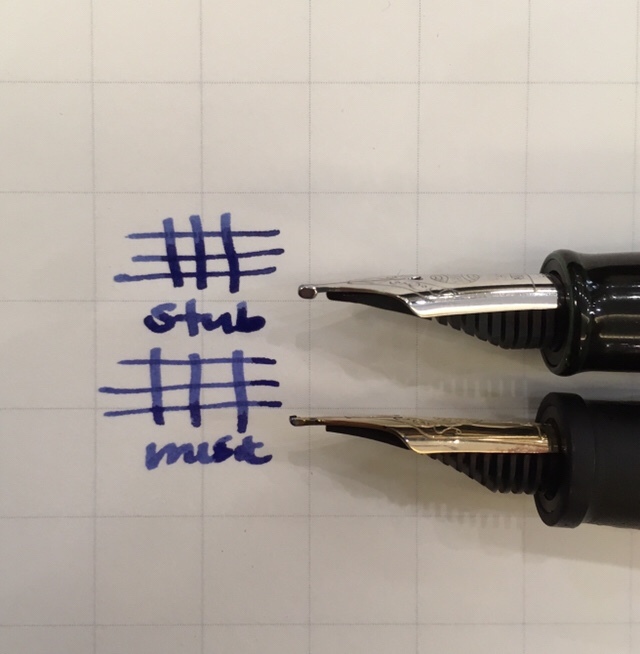 My pen (the stub) compared with the music nib from their nib testing set. The two nibs put down similar-ish lines, but feel very different when writing. The BB stub is extremely smooth on both sides, possibly even smoother when used upside down. Sorcery. Nakaya also brought out this super cool yatate in the morning, a wooden single pen holder. 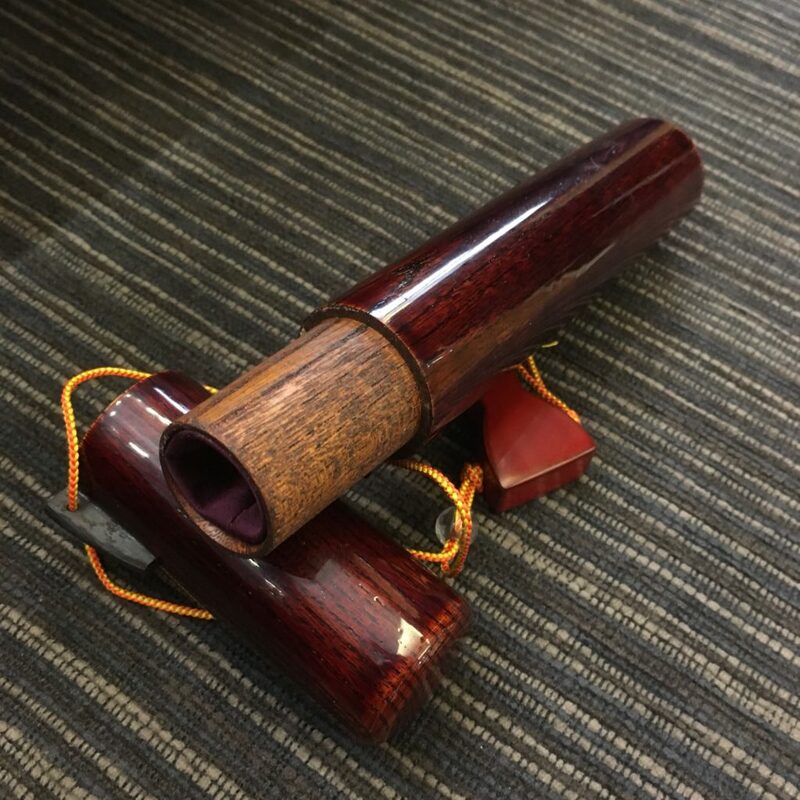 It’s made of wood, with fabric cushioning on the inside and finished with urushi. 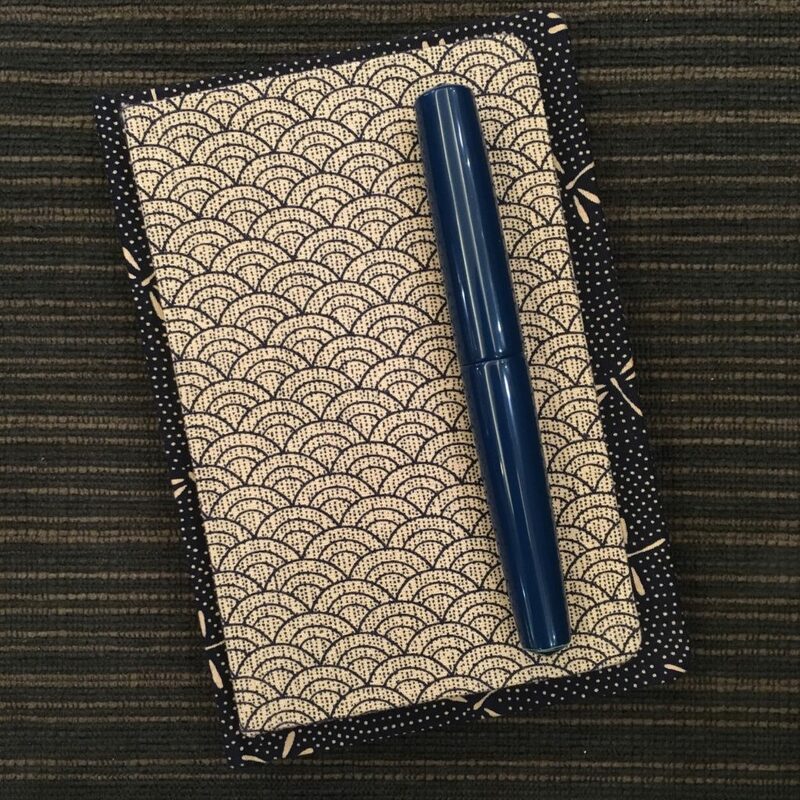 I had a chance to oggle the new Musubi sizes — here they are compared against a Nakaya Piccolo. So cute! Here’s a last photo of Yoshida-san, installing my rollstop, but more importantly, you can see his customized kettle for warming feeds. Steam comes up between the white silicon blocks and warms the feed, while the nibs never get scratched. 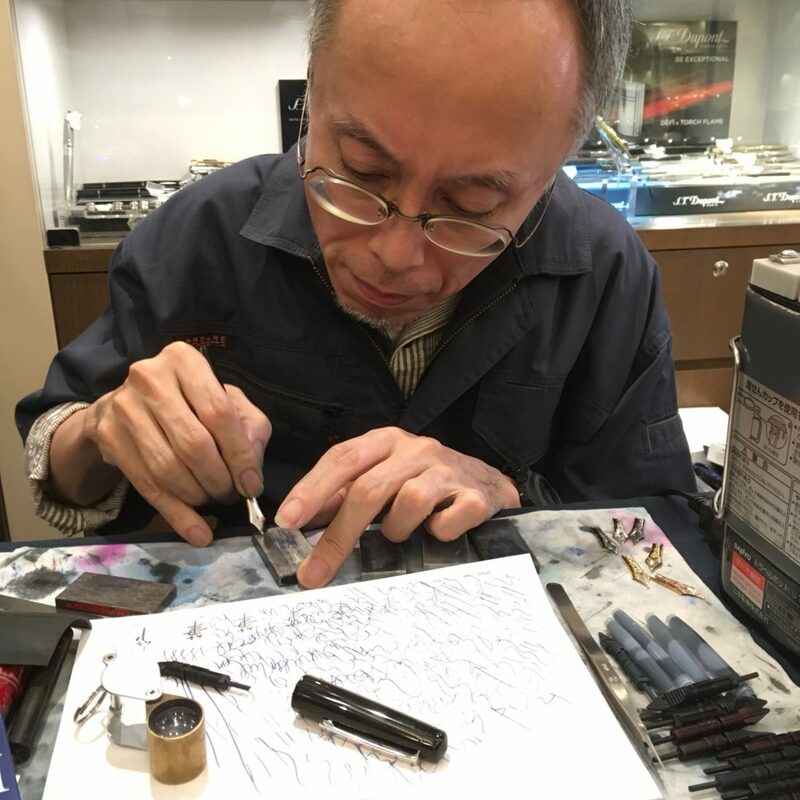 I don’t know when the next pen clinic will be, but if you love Nakaya as much as I do, I highly recommend going. Many thanks to Aesthetic Bay for putting this together and hosting! 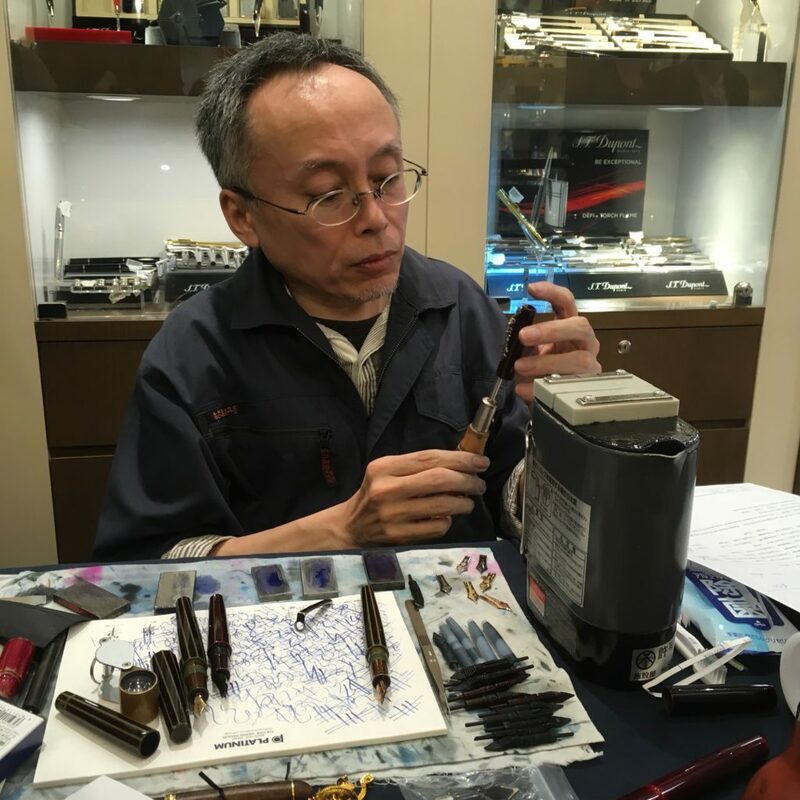 How wonderful it would be if Nakaya would hold clinics like this in other countries where they have authorized dealers. I think the dealer is the one that organizes it (and pays for it). If I’m not mistaken, Nakaya was at the DC show several years ago.